Here at Abbey Dental Walthamstow we offer a variety of treatment options. The Six Month Smiles™ use white wires and white brackets. The Invisalign system uses clear aligners. Inman Aligner is a removable clear braces. Fast Braces use clear wires and brackets. 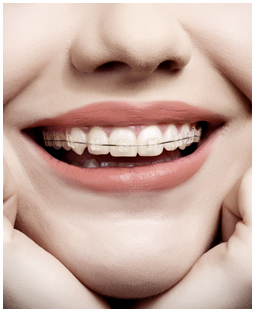 Quick Straight Teeth use fixed or removable clear braces to align your front teeth. You could have the smile you have always wanted! Am I suitable for cosmetic orthodontics? Most people are suitable for cosmetic orthodontics. If you have crowding or teeth that are not aligned these can usually be aligned and the appearance significantly improved. Dr K Saeed has been carrying out orthodontic treatment at Abbey Dental Walthamstow since 2006 and treats each patient with a holistic approach, trying to understand each patient's concerns and achieve the very best possible results for them. Dr Kashif Saeed has treated cases ranging from simple mild crowding to complex cases requiring a range of skills and techniques. Dr. K Patel provides treatment for INMAN aligner and QST Quick Straight Teeth short term orthodontic option as well as composite and porcelain Veneer Smile Design. Treatment times vary, most people complete treatment 4 to 9 (average is 6 months) months after the braces go on for 6 month smiles, the times are usually longer for Invisalign, depending on the case. After the consultation you are given an individual treatment plan, explaining the process, likely timescale and cost. Once you decide to proceed, impressions are taken and the braces fitted about 3 weeks later. For 6 month smile you will need to return once a month on average for adjustments. Teeth are aligned and the appearance significantly improved in a short space of time* (the times are normally much shorter than traditional comprehensive orthodontics). What are the costs and is it affordable? Our consultation fee is £70 which if you go decide to ahead with treatment, the fee is deducted from the price of the overall treatment. There are various options available depending on the system used. Prices start from £1500 for a single arch and from £2500 if you are having both upper and lower arches treated. Your dentist will give you a full breakdown of costs during your consultation. To make paying for your treatment a little easier, we offer 0% finance with repayments to suit your needs. A member of the team will be happy to discuss this with you should you be interested in taking up this option. Please ask us for further information.